A viking army under command of Sigfred with 40000 Danes and 700 ships and a lot of small ships and boats moved against Paris and was heavily reinforced by forces from Frisia. Other vikings arrived from the sea, they sailed up the Seine. Rollo was mentioned by Dudo as a leader of a group of horsemen. Rollo had established him and his men at the Loire river, to trade thralls and war loot. Rouen and Pontoise was captured and in November vikings stood outside the walls of Paris. 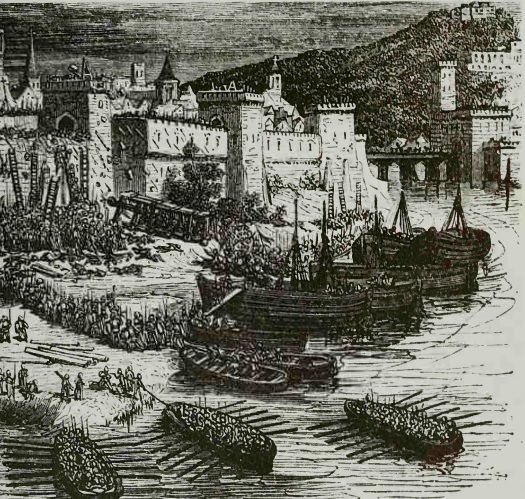 25th November the siege of Paris began, the defense of Paris was led by bishop Gauzlin and count Odo. When Danish Godfrid "the sea king" sailed up the Rhine summoned to a meeting at Lobith, Godfrid was looking for an expansion of his territory in Frisia,But instead he was murdered in June after orders from Henry of Franconia. 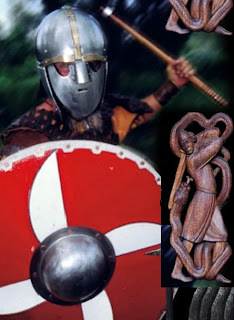 A group of loyal noble Frisian and Saxon men killed him, because he was "rude" and Frisia was free from the Danish rule, which had existed since 841. More Immigration began to the Faroe Islands, a lot of Norwegians left Norway because of Harald Fairhairs harsh rule and high taxes. Danish vikings besieged Rochester, Kent. The town was able to repulse the attacks until Alfred the great arrived with his army. 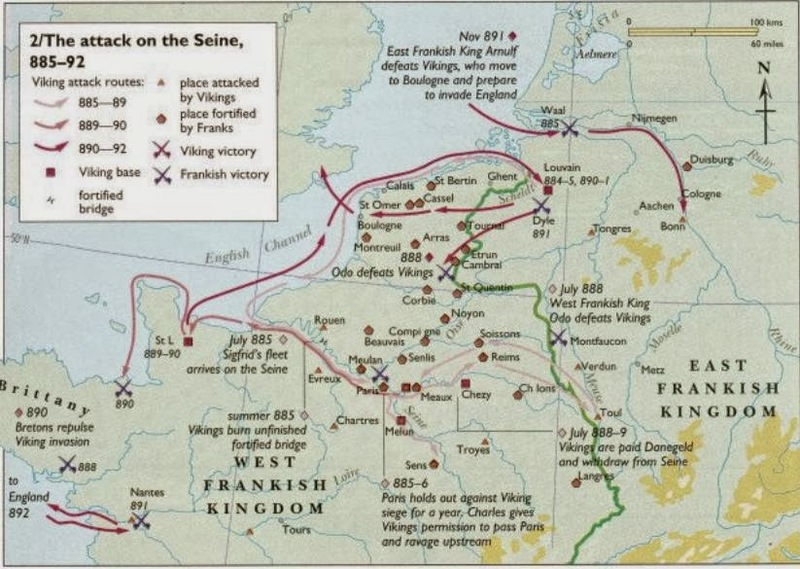 The vikings were driven back to France. Guthred of York enter an alliance with Gwynedd king "King of Britons" Anarawd ap Rhodri.